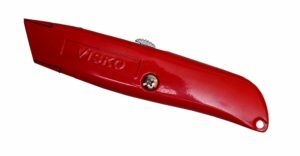 Amazon is here with a great deal offering Visko VT9906 Retractable Utility Knife Set (Red, 4-Pieces) at Rs 117. Visko utility knife are designed to be lightweight and easy to carry and use. Grab Now..!! How to Buy Visko VT9906 Retractable Utility Knife Set?